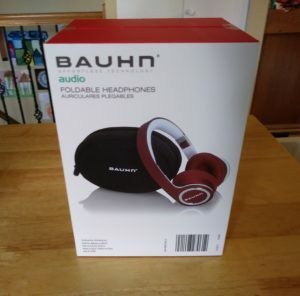 Bauhn is one of the more visible Aldi house brands when it comes to technology. 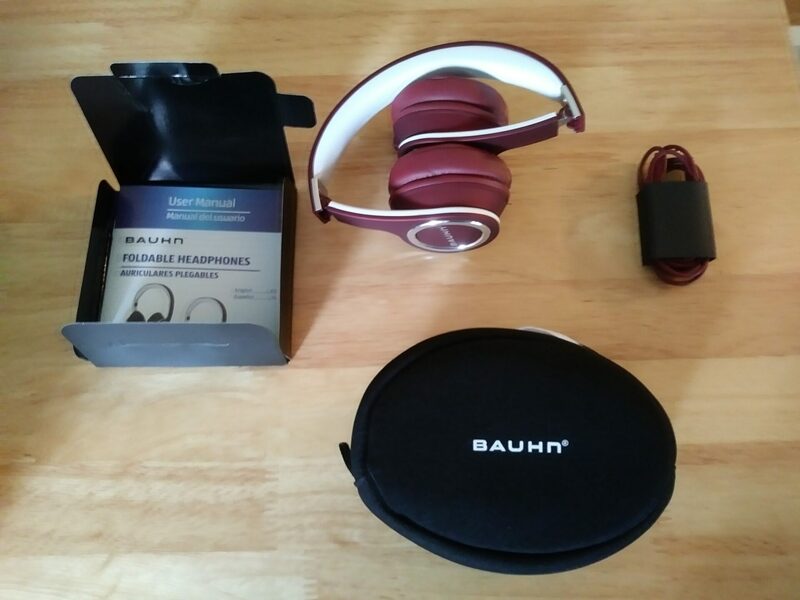 Many Bauhn products deal with audio, so we weren’t surprised to see Aldi roll out various Bauhn-branded headphones over the course of the holiday season. Including these. It’s by no means the most important thing, but we were struck by the premium-style packaging the headphones came in. The box slides out of an outer shell and then itself clamshells open. Inside, everything rests in various compartments, right down to a manual folded in a black envelope. Bear in mind that these are wired, over-the-ear headphones; they do not have wireless bluetooth functionality. They do, however, come with a remote and mic built into the 3.5 mm cord. The remote can be used to control compatible Android or iPhone devices; pressing the center button, for example, pauses music play, while the + and – buttons on the cord adjust the volume. Holding down the center button, meanwhile, activates either Siri or Google Assistant so you can dictate voice commands using the microphone. (The mic, of course, can also be used for phone conversations.) Be aware that Android devices do not have quite as much functionality with the remote as Apple devices do — iPhones, for example, can use the remote to skip songs, while Android phones cannot. The sound and feel, to us, are good. The phones are lightweight but didn’t feel cheap. They’re soft and comfortable, with the arms telescoping to the size you need, and they fold easily for storage. We also thought the sound quality was respectable, especially for the price; someone more fine-grained than us can speak to treble and bass, but we thought music came through well. And another thing: while these aren’t billed strictly as “noise-cancelling” headphones, we thought they did a good job of tuning out the rest of the world without having to push the volume up too high. Meanwhile, we found the remote on the 3.5 mm cable to be a little finicky — at times it seemed like it would pause when we would hit the volume down control — but it works adequately. As far as budget over-the-ear corded headphones go, these are decent ones. The sound is pretty good, they fit fine, and the microphone and remote are okay. They probably won’t replace a high-end pair, but if you’re looking for something under $20 — including a carrying case and 2-year warranty — you could do a lot worse. Well, if you don’t have a pair of these by now it’s too late. SR-80’s are my regular can. Mid on the Aldis a bit cooler and highs a tad recessed but… and this is a big but, bass on the Aldis is excellent. I’m listening to D&B and Dub; it’s all there, speed, rhythm and pitch and balance, as low as an ear can go. Simply obliterates SR-80 in that area. Don’t know what ALDI buyer did right, but glad I grabbed them with the groceries. I agree with Steven, these are excellent headphones for the price. They fit well on the ear allowing hours of use with no discomfort. The bass is much better than expected, if the trebel were better these would be the buy of the century. One problem I have with wired headphones is the cord. No matter how much I care for that cord, the wires eventually fray inside and I lose one side, then inevitably, the other. Five weeks after purchase, my left side is in and out, mostly out. I’m very surprised because the cord looks and feels as if it will last forever and I never thought this would be an issue. Unfortunately, whenever I shop for groceries, I toss the receipt out of habit. I don’t return cream corn, I eat it, so, I will contact the company and hope for the best.